In 1971, noted Hungarian malacologist (someone who studies mollusks) József Vágvölgyi discovered the last remaining tortoise on Pinta (Abingdon) Island in the Galapagos. Feral goats had devastated the island’s vegetation and only one individual of the Chelonoidis nigra abingdonii tortoise subspecies was still alive. For his own safety, “Lonesome George” (thought to be named for a character played by American actor George Gobel) was relocated to the Charles Darwin Research Station on Santa Cruz (Indefatigable) Island, Galapagos. For decades, attempts for George to produce offspring met with failure, most likely, because no females of his subspecies existed. Although several clutches of eggs were produced by females closely related to him, the eggs proved to be inviable. 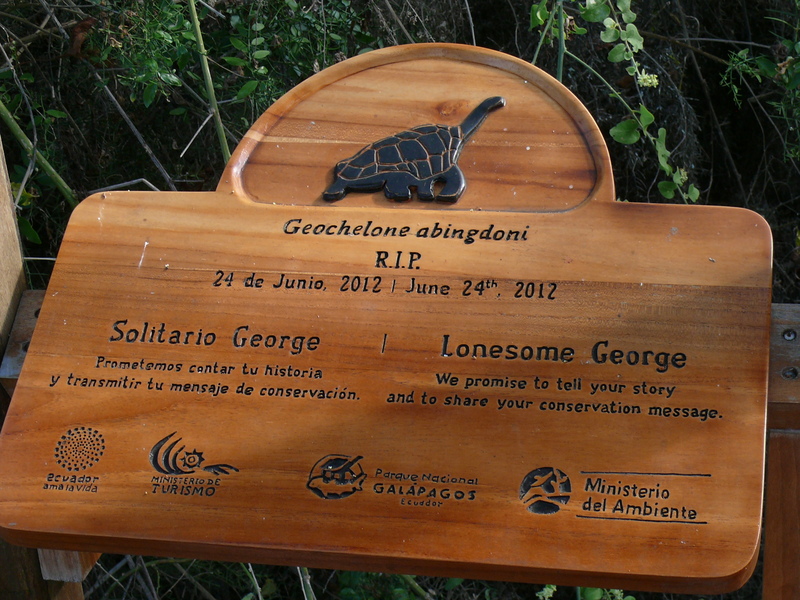 Lonesome George became a compelling icon for conservation efforts in the Galapagos and around the world. He was sometimes referred to as “the rarest creature in the world.” He was found dead June 24, 2012 by one of his caretakers. 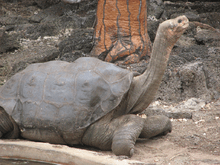 Officials attributed his death to “old age.” It is believed George was born prior to 1912 with some estimating his lifespan to be more than 100 years (not especially old for a Galapagos tortoise). Taxidermists at the American Museum of Natural History in New York City are preparing the remains of George for a museum exhibit that will debut in the winter of 2013. The display will include his real skin and shell over a base that replicates his actual appearance. He will eventually be returned to the Darwin Center in Galapagos for visitors to admire.